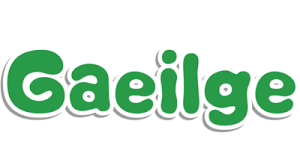 Tá polasaí leanúnach i leith leathnú amach úsáid na Gaeilge in imeachtaí agus i ngníomhaíochtaí laethúla an Chomhaltais. Tá an cur chuige seo bunaithe ar an bprionsabal go mbeadh an Ghaeilge feiceálach, inchloiste, agus spreagtha i measc an Chomhaltais ionas gur féidir nósmhaireachtaí úsáide a chur chun cinn. The ongoing policy is to expand the use of the Irish language during the daily events and activities of Comhaltas. This approach is based on the principle that the Irish language would be prominent, visible, and encouraged within Comhaltas.